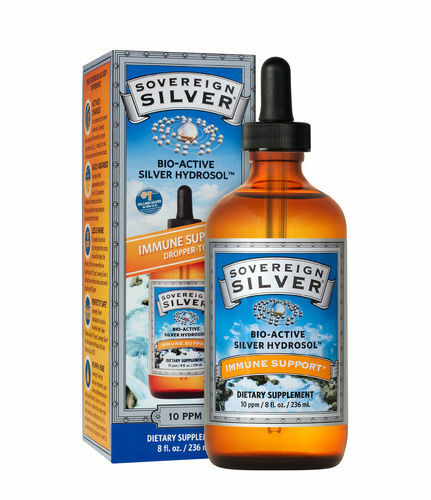 Sovereign Silver (Colloidal) Homeopathic First Aid Gel - 2oz | Supplements | Colloidal Silver | Raw Life, Inc. 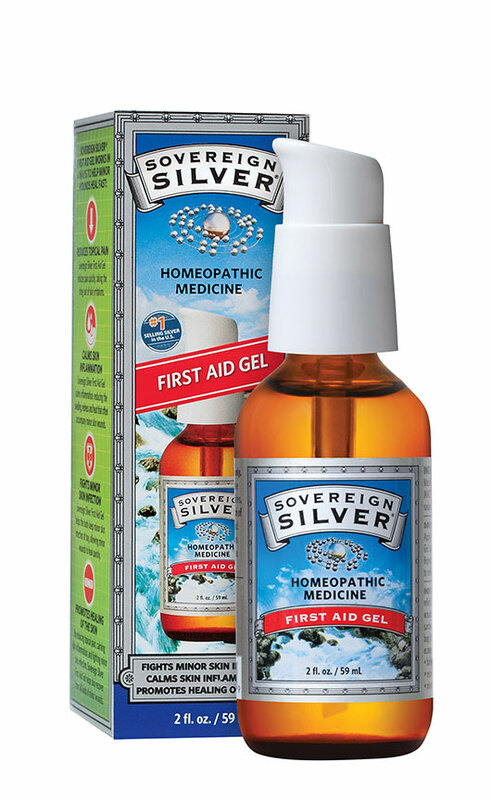 The Only First Aid Product You Need Sovereign Silver First Aid Gel is the world's first homeopathic silver first aid gel for topical use. 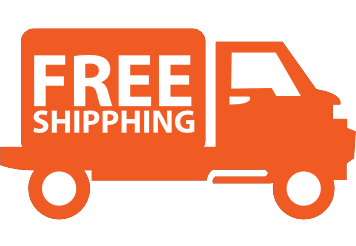 Because it is effective for such a broad spectrum of minor wounds, you can now replace your over-the-counter (OTC) antiseptic cream, burn spray, calamine lotion, and acne cream with one product: Sovereign Silver First Aid Gel. Keep one bottle in your bathroom cabinet, one in your car, and one in your purse or briefcase, so you'll always be prepared for life's little accidents. 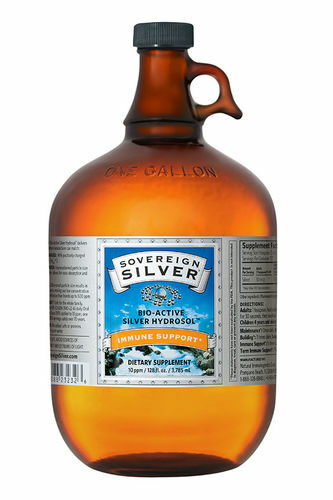 The 4 Actions of Sovereign Silver First Aid Gel For fast healing of minor: cuts, scrapes, burns, bites, bruises, skin infections, and more you need only one product: Sovereign Silver First Aid Gel. 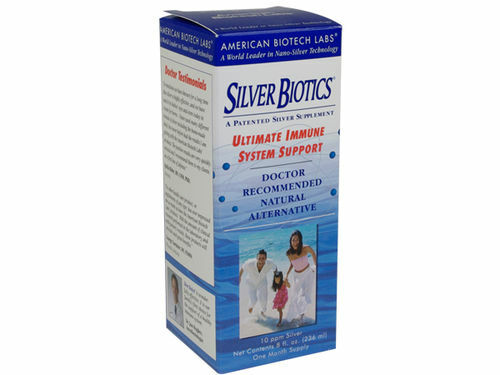 The Homeopathic Pharmacopeia of the US has recognized Argentum Metallicum to assist the body in 4 ways to help minor wounds heal fast: Reduces Topical Pain Sovereign Silver First Aid Gel reduces pain quickly, taking the sting out of skin irritations. Calms Minor Skin Inflammation Sovereign Silver First Aid Gel calms minor skin inflammation, reducing the swelling, redness, and heat that often accompany minor skin wounds. Fights Minor Skin Infection Sovereign Silver First Aid Gel helps the body keep minor skin infection at bay, allowing minor wounds to heal quickly. Promotes Healing of the Skin By reducing topical pain, calming skin inflammation, and fighting minor skin infection, Sovereign Silver First Aid Gel helps skin recover from all kinds of minor wounds. 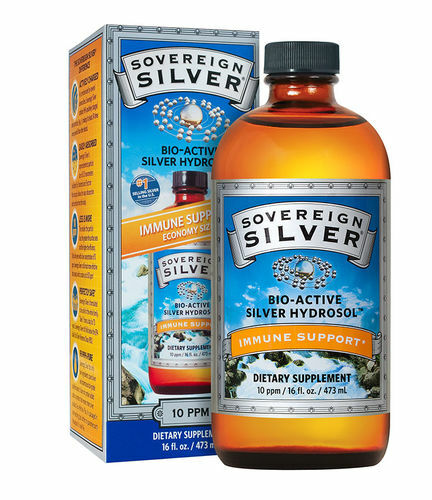 The perfect alternative to OTC conventional & herbal topical treatments, Sovereign Silver First Aid Gel is: A water-based gel Clean & Pure No synthetic preservatives Non-greasy Non-staining Odorless Safe, Over-the-Counter (OTC) Homeopathic drug products have no known side effects Sting-free Virtually residue-free Cost-effective Directions Clean affected area. Apply a liberal , consistent layer of First Aid Gel. Leave wet or bandage for optimal results. Do not rub until dry. Repeat 3 times per day or as often as needed to relieve symptoms. For sensitive skin. Warnings For external use only. Keep out of reach of children (adult supervision required). Ask a doctor if symptoms persist or worsen after 3 days. Will Sovereign Silver or Argentyn 23 give me Argyria (a condition that turns the skin blue)? NO. Even if you consumed 7 teaspoons daily for 70 years. Argyria is a condition caused by the ingestion of elemental silver, silver dust or silver compounds. The most dramatic symptom of argyria is the skin becoming blue or bluish-gray colored. Argyria may be found as generalized argyria or local argyria. Argyrosis is the corresponding condition related to the eye. The condition is believed to be permanent, but laser therapy has been used to treat it with satisfactory cosmetic results. [Source: Wikipedia] ^1 - James, William; Berger, Timothy; Elston, Dirk (2005). Andrews' Diseases of the Skin: Clinical Dermatology. (10th ed.). Saunders. ISBN 0721629210. ^2 - Jacobs R (2006). "Argyria: my life story". Clinics in dermatology 24 (1): 66?9; discussion 69. doi:10.1016/j.clindermatol.2005.09.001. PMID 16427508.